Congratulations to Logan Jenkins…. 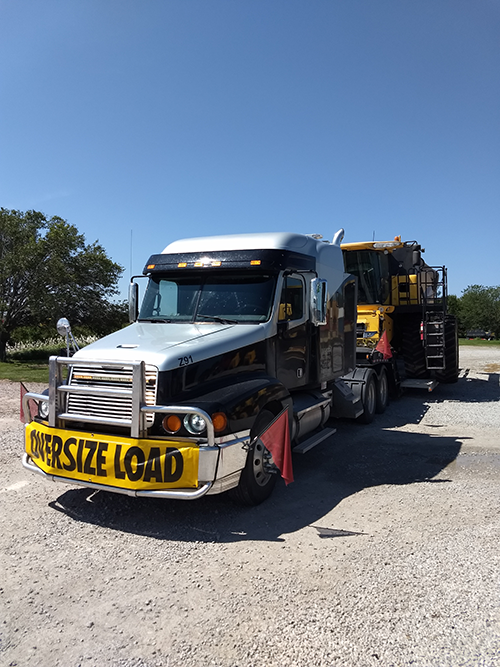 The August 2018 SafeTruck Oversize Load Contest Winner! Our August Contest Winner is Logan Jenkins! Mr. Jenkins used our Oversize Load banner with six staff flags to haul a New Holland CR9070 Combine from Clarinda, IA to Lamoni, IA. The overall weight was 46,000 pounds with the dimensions of 27’L x 58’W x 14.6’H. Mr. Jenkins buys our products from Ebay. Congratulations to Logan Jenkins! Thank you for sharing your successful heavy haul trip utilizing SafeTruck Oversize Load banners and flags!